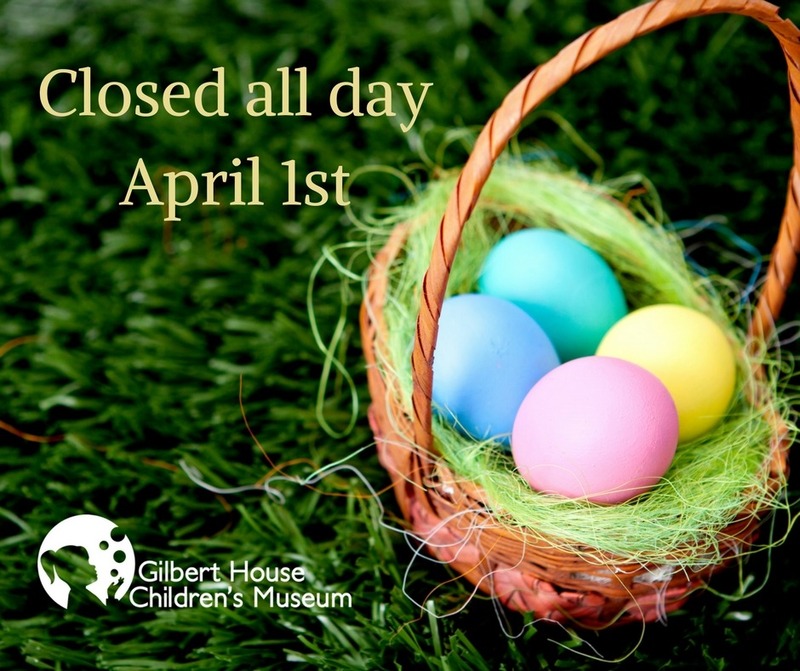 Gilbert House Children’s Museum will be CLOSED all Day on Easter Day, April 1st. We reopen on Tuesday, April 3rd. We hope you have a wonderful holiday weekend with your friends and family!